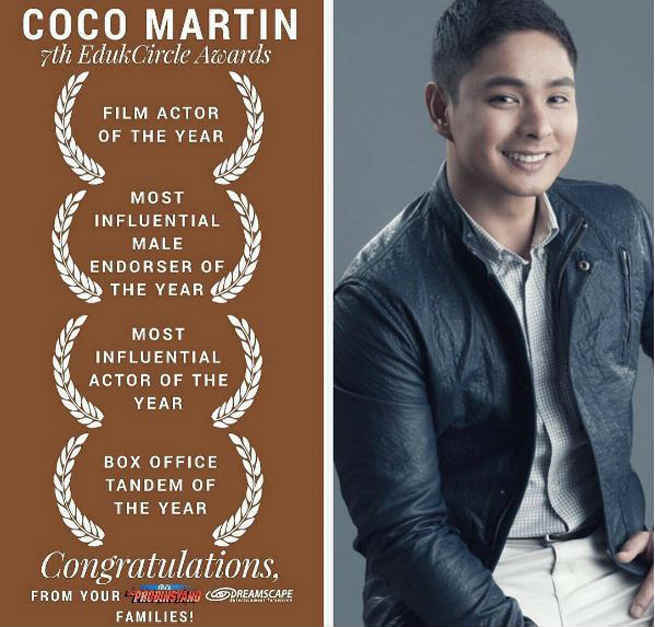 “Ang Probinsyano” star Coco Martin is truly a showbiz royalty, proving his worth in the industry after he won four times in multiple categories during the recently held 7th EdukCircle Awards. The 7th EdukCircle Awards hailed the Kapamilya actor as the winner in the following categories: “Film Actor of the Year”, “Most Influential Male Endorser of the Year”, “Most Influential Actor of the Year”, and “Box Office Tandem of the Year”. Next Post: Who is this ‘Elena’ Jay Sonza is referring to on his Facebook post?